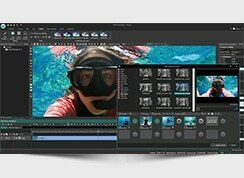 Flash-Integro releases VSDC Free Video Editor 2.2.0. 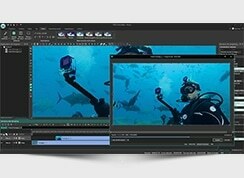 Capable video editing software that now allows for creating an animated object from a set of static images forming a video sequence. A series of optimization techniques applied to the frame processing resulted in a notable performance increase in the new version. VSDC Free Video Editor already gained a good amount of popularity because it houses more than a user would expect from a free tool. 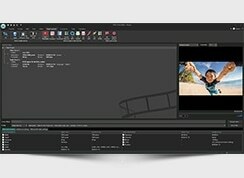 Along with special non-linear video editing and subpixel manipulation with video fragments and pictures – the unique features of the program – VSDC also offers decent performance, an extremely intuitive user interface, and a range of exporting options including one-click DVD/Blu-ray burning. Previously, the program allowed for adding video, images, and audio fragments to the final footage. However, many professionals who are experienced in the arts often need custom-drawn animated objects on the video – rotating logotypes, animated indicators, or labels and so on. 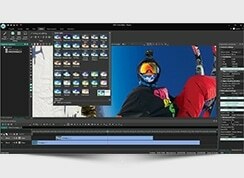 And it is this gap that the new version of VSDC Free Video Editor fills. 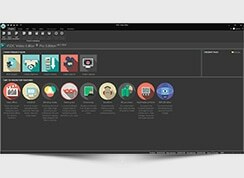 Now, a user can prepare a set of static images in any preferred format, including the native format of the Photoshop editor, and import the files to the program that compiles them into an animated object. Just as in the other objects that the tool supports, animations are easily configurable. A user can specify the frame duration, choose key frame settings, and select the position of the individual image in a frame thereby enabling an animator artist to save a lot of time. Therefore, thanks to the new option, VSDC Free Video Editor can replace specialized picture animation software, but with one crucial difference: the program is absolutely free. A major bottleneck of many video editors for home users is poor performance. 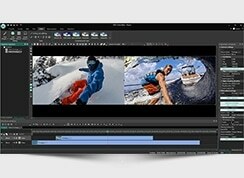 VSDC Free Video Editor notably stands above the competition, and the new release is just another investment into this advantage. In particular, the new version features an improved and optimized video processing core that allows you to boost video generation performance by up to an outstanding 50%. Exporting and converting of video formats enjoy this increase as well, although to a lesser extent.